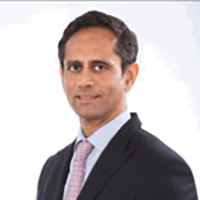 Vinod Kumar is the Managing Director and Group CEO of Tata Communications. Vinod joined Tata Communications in April 2004, just as the company was embarking on its journey of international growth. 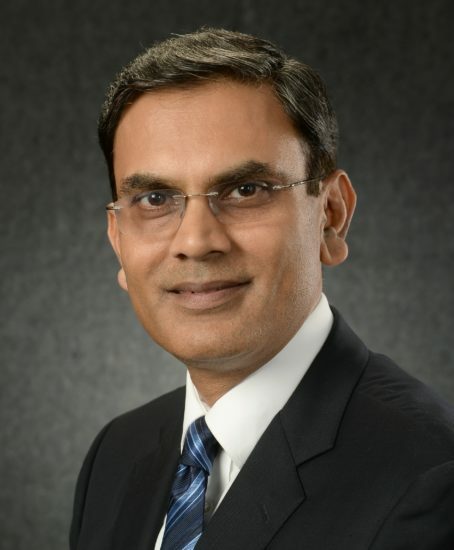 Vinod has been at the forefront of Tata Communications’ transformation from a traditional connectivity services provider, largely based in India, to a truly global services provider – offering a broad range of managed communication and collaboration services as well as IT infrastructure services. With 25 years of experience in the global telecom industry, Vinod has an impressive track record in developing business strategies and creating fast growth organisations across the globe. Prior to joining Tata Communications, he was a Senior Vice President with Asia Netcom from 2002-2004 where he was responsible for strategy formulation, product marketing and sales. 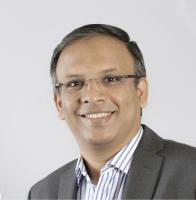 From 1999 to 2002, Vinod worked with WorldCom Japan as its Chief Executive Officer. Prior to this, he held various senior positions with Global One and Sprint International in the United States and Asia. 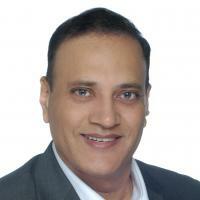 Vinod has served as a Director of the Human Capital Leadership Institute Pte Ltd, York Transport Equipment (Asia) Pte Ltd, Qubit Investments Pte Ltd & Strategy Advisor & Consultant of UST Global (Singapore) Pte Ltd amongst several others. He is also a member of the Business Sector Advisory Council for UN Women. Vinod graduated with honours in Electrical and Electronic Engineering from the Birla Institute of Technology and Science in India and currently lives in Singapore. Aadesh has over 25 years of experience in P&L Management, Human Resources, Operations, Information Technology, Corporate Communications and Program Management and has held global leadership roles in these functions across multiple geographies. He has also been involved in over a dozen M&As as well as playing a key role in the integration of these companies, spread across multiple countries. Aadesh joined Tata Communications in February 2010 from PeopleStrong HR Services where he was the Chairman and CEO. Prior to PeopleStrong HR Services, Aadesh was part of the start-up team of Aricent/Hughes Software Systems where he spent 16 years in a variety of roles including Global Head of HR, CEO of its BPO Business, Head of the Gurgaon centre and provided direction to IT and Corporate Communications functions. He was also a Director on the Board of this listed company. Aadesh has a Master’s degree in Management Studies from the Birla Institute of Technology and Science, Pilani in India. He has a passion for community service and has been an active volunteer with The Art of Living since 2000. Amit Sinha Roy is Vice President, Marketing. In this role, he is responsible for the Global Market Insights and Global Top Accounts marketing programmes at Tata Communications. With over 20 years of experience in the ICT industry, Amit defines winning marketing strategies for Tata Communications’ business. This entails delivering market insights for segmentation, targeting and positioning for our key products and solutions across routes to markets through the Market Insights program. In his current role, Amit is also responsible for the Global Top Account marketing programme focused on achieving specific business outcomes across engaging and enabling our top accounts relationships for specific products and services through strategic account based marketing initiatives. Prior to joining Tata Communications, Amit was Head of Marketing, Cisco India & SAARC at Cisco India. 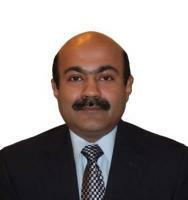 He has also held various senior marketing and strategy positions at Hewlett Packard, Syntel Inc. and Compaq India. Amit has a Master of Science (Hons) degree in Physics and a Master of Management Studies from the Birla Institute of Technology and Science (BITS) in Pilani, India. 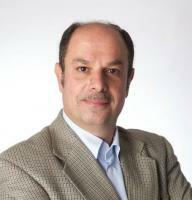 Anthony Bartolo is the Chief Product Officer for Tata Communications. He is responsible for developing the company’s overall product strategy and commercial architecture across Tata Communications’ network, collaboration, mobility and IoT services portfolio. Anthony has over 25 years of functional and general management experience in transformational, high growth environments, ranging from start‑ups to large cap public companies, spanning the entire communications technology ecosystem from telephony, data networking, mobility and machine-to-machine to social networking industries. Prior to Tata Communications, Anthony was responsible for Avaya’s $2.5 billion Unified Communications and Contact Centre portfolios. As leader of the company’s two largest business units, Anthony headed their product management, marketing, R&D and operations divisions. Anthony’s previous roles also include President and CEO of Skyrider Limited, a social networking start-up, and Vice President and General Manager of the Wireless Infrastructure, RFID and Software Divisions for Symbol Technologies (acquired by Motorola). He has also held multiple senior leadership positions around the globe during his 12 years with Nortel Networks. Anthony graduated with honours from the Royal Melbourne Institute of Technology, Australia with a Bachelor’s degree in Engineering. He recently relocated to Singapore from Silicon Valley in California with his wife and three children. Brian is responsible for leading global MES strategy to provide businesses with next generation managed services that drive the efficient production, management and distribution of digital media assets globally. As cloud, social and mobile technologies continue to shape the media and entertainment sector, his team is committed to empowering enterprises to capitalise on the new growth opportunities they bring. Brian joined Tata Communications in January 2014. He has been instrumental in establishing Tata Communications as a disruptive force in the media and entertainment industries, through innovations such as the Media Ecosystem, a cloud-based next generation media services platform. An industry veteran with a track record of growing businesses through organic initiatives, acquisitions and well executed go-to-market strategies in developed as well as emerging markets, Brian has previously held senior roles at Cisco Systems, Scientific-Atlanta, Siemens and Globecomm Systems. Brian has a Bachelor of Science degree in Engineering from the University of Central Florida and an MBA from the Crummer Graduate School of Business, Rollins College. Brian moved from the US to London in 2014 and lives with his wife and two sons. Christian Michaud drives and executes strategies aimed at delivering revenue growth for Tata Communications Voice & Mobility Core Services. 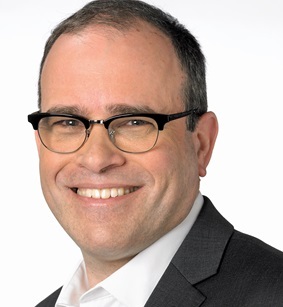 Throughout his career, he has operated at the vanguard of the telecommunications industry’s migration of voice towards data, fixed mobile and the increasing impact of OTT players. Christian was a key member of the executive team that positioned Teleglobe in international markets, including Asia-Pacific and Europe. He then, via strategic partnerships, transformed Tata Communications’ wholesale voice carrier business from a service to a stable, less volatile business. He also contributed to the growth of new services and innovation in the service provider market. Christian has spearheaded many industry developments, such as the international rollout of the all-IP infrastructure as Vice Chairman of the board of the i3 Forum. Overseeing over 1,800 relationships with mobile, voice and internet service providers in over 240 countries and territories, Christian has become an expert in building successful partnerships with international clients across the globe. Genius Wong is the Chief Technology Officer for Tata Communications. In this role, she leads the engineering and operations of Tata Communications’ global network and strategic cable investments and is making transformative steps to build Tata Communications’ next generation network infrastructure through its architecture, technology, skills and process. With two decades of experience in the telecommunications industry, Genius has been instrumental in securing the company’s position as a Leader within the Gartner Magic Quadrant for Network Services for the last five years. Prior to joining Tata Communications, Genius served as Vice President of Product Management and Development for Asia Netcom, where she was responsible for the development, launch and management of Asia Netcom’s entire portfolio of products and services for both the enterprise and carrier markets. She also played a crucial role in the development of Asia Netcom’s product and network platforms as well as the formulation of complex solutions to meet the unique requirements of individual customers. Genius previously served as the General Manager of Technology Support and Development for New T&T, a FTNS operator in Hong Kong. In this role, she played a key part in the start-up of the organisation. Genius also worked for IBM IGN where she was an instrumental player in establishing the company’s presence in Hong Kong. Genius holds a bachelor’s degree in Computer Science and a Master’s degree in Electrical Engineering from the University of Washington in the United States. Madhusudhan Mysore is the Chief Executive Officer of Tata Communications Transformation Services Ltd. (TCTS), a wholly owned subsidiary of Tata Communications Limited. Madhusudhan’s key focus at TCTS is to enhance and build momentum for business growth around new and evolving technology services around wireless, NFV, SDN, Mobility services etc. He is also tasked with creating state of the art professional service capabilities across the globe, including developing and integrating strategic partnerships. Madhusudhan’s professional career spans over 29 years in Telecom and IT with challenging roles across various multi-national organisations like AT&T, Lucent and BPL. He has led the rollout and operations of GSM, CDMA, NGN & MPLS networks across the globe during his career. Prior to this role, Madhusudhan was the Chief Network Officer & lead the Customer Services and Operations at Tata Communications. Functions like Service Delivery, Service Assurance, Service Management, Field Operations, Facility Support, Complex Solutions support, Technology Operations and Infrastructure Management reported into Madhusudhan. Madhusudhan has been an intrinsic part of the management at Tata Communications and has held various leadership roles across engineering, network operations and customer service. Madhusudhan holds a Bachelor of Engineering degree from the University of Vishweshwarayya College of Engineering (UVCE) Bangalore, India. Mehul Kapadia is the Global Head of Marketing at Tata Communications. 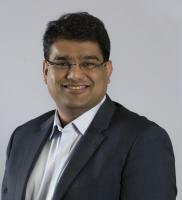 In this role, he is responsible for bridging the customer-centric operations of the company’s Customer Success Group (sales & client services) and the innovations of the company’s product team to build Tata Communications’ brand – by creating customer awareness and advocacy through a multi-dimensional marketing strategy that fuels future growth. As part of this role, Mehul also spearheads the F1® engagement for Tata Communications with end-to-end responsibility for the innovation, sales and marketing, for the F1 Ecosystem, which constitutes Formula One Group, racing teams and global broadcasters. Prior to his current role, Mehul held various positions within Tata Communications including Vice President of Product Marketing, Head of Marketing and Strategy for the Small and Medium Enterprise Business in India, and Head of Sales and Marketing for the Retail Business Unit, which he helped set up. Whilst working for the Retail Business Unit, Mehul played a key role in the acquisition and integration of various businesses for Tata Communications. Mehul has also served on the Board of Directors for the Wireless Broadband Alliance (WBA). Michael (Mick) Higgins is Vice President of Mobility and IoT Product Management at Tata Communications. Based in Singapore, Mick is responsible for Tata Communications’ global Mobility and IoT business, bringing a world class mobile data portfolio and Tata Communications MOVE Enterprise and IoT solutions to markets across the globe. Prior to his role at Tata Communications, Mick was Managing Director of Alcatel-Lucent for Singapore and Brunei, and has also led Alcatel-Lucent’s Wireless Asia Pacific business. Mick started his career with Bell Northern Research in the United Kingdom. During his 23+ years in telecommunications, Mick has worked extensively in R & D, product management, regional sales support and sales leadership roles across North America, Europe and Asia Pacific. He spent the majority of his career working in all areas of wireless technology, from network management, to core network radio access, and now focusing on IoT with Tata Communications MOVE global mobility platform. Mick holds a degree in Electronic Engineering from the University of Ulster in Ireland. Peter Quinlan is Vice President, Business Collaboration at Tata Communications. He is responsible for collaboration and video services, including roadmap, new services creation and launch, go-to-market strategy, operational readiness, and sales overlay support. He has been the main driver of Tata Communications’ strategy in the unified collaboration space. Peter has extensive experience in sales, channel management, business development, and managed services across Asia Pacific. He began his career as the first employee for Dell Computer in India, helping to set up operations in Asia and opening a liaison office in New Delhi in 1994. He went on to work for Dell in Malaysia and later also helped to set up Gateway Computer in the region. Subsequently, he worked for 3Com and Getronics, and again with Dell where he was the Director of Managed Services, Asia Pacific & Japan before joining Tata Communications in 2007. Peter delves deeply in South Asian history and Indo European languages. Peter holds a Master of Arts degree in Asian Studies and an MBA from the University of Texas at Austin. He is fluent in Hindi and Urdu, having studied the languages in the US, India and Pakistan. 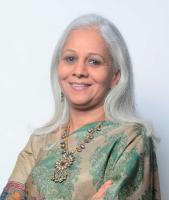 Pratibha K Advani is Chief Financial Officer at Tata Communications. She is responsible for the strategic financial management of the company, including investor relations & corporate affairs. Pratibha has over two decades of varied experience ranging from financial strategy, project financing, M&A, risk management, and legal and secretarial. Prior to joining Tata Communications, Pratibha was the Chief Financial Officer (CFO) at NIIT Technologies where she led the Finance, Secretarial, Compliance, Regulatory, Legal, Secretarial and Investor Relations function for the group spanning across 24 subsidiaries and branches globally. Pratibha was also the Chief Financial Officer at Barclays Shared Services Pvt. Ltd. (a subsidiary of Barclays Bank Plc) and Vice President Finance & Chief Financial Officer at GE-SBI Cards. Pratibha has a Bachelor of Commerce (Honours) degree from Shri Ram College of Commerce and is a Chartered Accountant from ICAI. She is a recipient of the CNBC TV18 ‘CFO of the Year’ award under the ITSS category and has several accolades to her credit. She was also awarded the Business Today ‘Best Woman CFO Award’ in 2014 and the GE Chairman’s Excellence Award for three years (2004-2006) consecutively. Pratibha was also included in the CFO100 League of Honour – 2015. Radwan Moussalli is Senior Vice President for Middle East, Central Asia and Africa for Tata Communications. Radwan is responsible for Global Data, Mobility, Managed Services solutions for these regions. In his role Radwan has positioned Tata Communications as one of the leading telecommunications, cloud and managed services solution provider and partner in the region by creating several partnerships, initiatives and projects in various countries across verticals, including the submarine cable project in the Gulf region, IP regional JV Nodes, MPLS, Ethernet, Video Connect, CDN, IZO and managed security and hosting services. 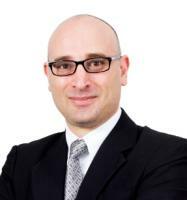 Radwan has over 25 years of telecom experience with emphasis in the Middle East & Africa region. Prior to his current position at Tata Communications, Radwan was Teleglobe’s Managing Director for the Middle East and North Africa, responsible for the company’s commercial and marketing activities in the MENA region. Teleglobe was acquired by Tata Communications in February 2006. At Teleglobe, Radwan played an important and essential role in creating and forming strategic partnerships with major local and regional carriers for IP and other value added services which resulted in acquiring considerable market share and positioned the Company as one of the major players in the region. Prior to Teleglobe, Radwan held senior positions at Sprint International, Global One and DEC (Digital Equipment Corp.) in the MENA region. He was also a member of the board of the Canadian Business Council in Abu Dhabi – UAE for several years. 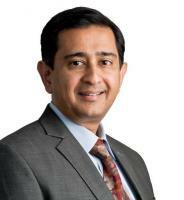 Rahul Mathur is Vice President, Go-to-Market Strategy at Tata Communications. In this role, he heads the strategy, planning and execution of the global sales approach serving Tata Communications’ comprehensive portfolio of services. Rahul joined Tata Communications in 2004 as one of the first employees outside India to expand the business globally. Since then, he has held various leadership positions, both globally and across functions, including product and business development, strategy, commercial management, operations and sales. Rahul has more than 20 years of experience in the tech-telecom industry and has held numerous strategic positions in Essar Cellphone (now Vodafone), Virgin Mobile Singapore, Dishnet DSL and Aircel before joining Tata Communications. He has held leadership roles in these organisations under corporate finance, product and business development. He has also consulted boutique investment banks on several telecom projects. Within Tata Communications he had developed Business Operations function, had leadership roles in product and before moving to this new role was heading sales for Asia Pacific. Rahul has a Master of Business Administration degree in finance & marketing and holds a Bachelor degree in engineering with honours in electronics and communication. Sumeet Walia is the Chief Sales and Marketing Officer for Tata Communications. In this role, Sumeet will lead and align the global sales and marketing functions around the company’s go-to-market strategy to drive business growth in all markets worldwide. 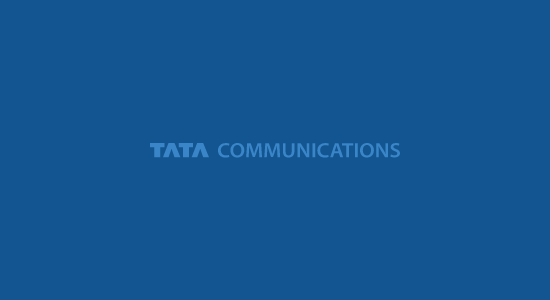 During this period, Sumeet also led Tata Communications’ foray into next generation managed services, which now account for a lion’s share of the company’s enterprise business. He has also nurtured Tata Communication’s recent foray into the Healthcare platform, right from product development to launching these innovative services and creating a strong customer base. Sumeet holds a Masters of Marketing Management from JBIMS, Mumbai and a bachelor’s degree in Electronics Engineering from Mumbai University. Tim Sherwood is Vice President, Business Development, Mobility & IoT Solutions at Tata Communications. He is responsible for shaping and driving Tata Communications’ market development strategy for global mobility and IOT services associated with the MOVE mobile network enablement platform. In this role, Tim works with the sales, marketing, product management and services development teams to achieve the annual revenue plan for mobile products as well as to bring to market new business opportunities to enable affordable and consistent cross-border mobile communications, collaboration and customer engagement. Prior to his current role, Tim was Vice President of Service Provider Strategy, where he was responsible for coordinating the long-term strategy and annual go-to-market plans for the Global Carrier Solutions sales segment. 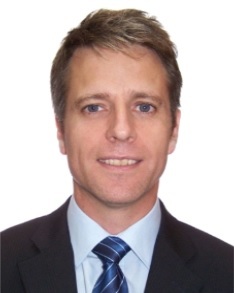 Previously, Tim was Vice President of Market Development within the Global Voice Solutions business unit of Tata Communications, where he led the creation of strategic sourcing and managed voice service offers, including negotiating flagship strategic agreements with British Telecom and gotalk Australia. Before that, Tim was the Director of Market Management in the Voice Commercial Operations team. In this role, Tim managed the voice trading platform, including functions such as pricing, routing, market analysis and deal governance for the company’s voice bilateral trading agreements. Tim has a B.A. in International Politics and Economics from Middlebury College in Vermont. Tri Pham is the Chief Strategy Officer for Tata Communications. He is responsible for strategy formulation and execution, as well as managing all major strategic initiatives including growth plans, entry into new markets, innovation initiatives and mergers and acquisitions. Tri has over 18 years of experience in the investment banking industry focusing on the telecommunications, media and technology industries in Asia. He has advised many of the world’s leading IT and telecommunications companies and executed some of the largest mergers and acquisitions in the region. Most recently Tri was running his own consultancy; having moved from HSBC where he was a Managing Director looking after TMT, Asia Pacific, from 2008 to 2011. Tri was also an Executive Director at ABN AMRO Bank from 2004 to 2008. During this time, he was co-head of TMT, Asia Pacific. He was also a Director at Merrill Lynch International from 1994 to 2003, where he was head of South East Asia TMT. Tri holds a Bachelors and Master’s degree in electrical engineering from the John Hopkins University. He was also named a Ford scholar at the Wharton School while pursuing his MBA. VS Shridhar is Senior Vice President and Head of the Internet of Things (IoT) business initiative at Tata Communications. His current responsibility is to grow and establish Market Leadership of Tata Communication’s IOT Business in India. Shridhar joined Tata Communications in 2002, when the Tata group acquired holding stake in VSNL, and was leading the core team instrumental in launching Tata Communications’ Enterprise Business. Prior to his current role, Shridhar was Sr. Vice President and Head of the India Enterprise Business segment at Tata Communications. He was responsible for maintaining Tata Communications’ leadership position in the communications solutions space for large enterprises. In his 14 years with the company, Shridhar has also served as the Chief Operating Officer of Tata Communications Transformation Services (TCTS), a 100% subsidiary of Tata Communications and managed high-impact, deals implementing and executing transformational deals for global enterprises. Shridhar also played key role in leading the team that was responsible for merger of Teleglobe with Tata Communications. With a career spanning over 25 years across geographies, Shridhar brings a rich blend of working in both telecom and IT industry. He has varied experience in different portfolios including sales, product management, B2B marketing and developing start-ups. Prior to Tata Communications, he has worked with IBM, Wipro and TVS Electronics. Shridhar has an MBA degree from XLRI (Xavier School of Management), Jamshedpur and a Mechanical Engineering degree from Maharaja Sayajirao University of Baroda. Shridhar is a Fulbright Scholar and has undergone Executive Leadership Programme at Tepper School of Business, Carnegie Mellon University, Pittsburgh. He is a trained and certified Solution Sales Specialist. Shridhar lives in Chennai, with his wife and two children.